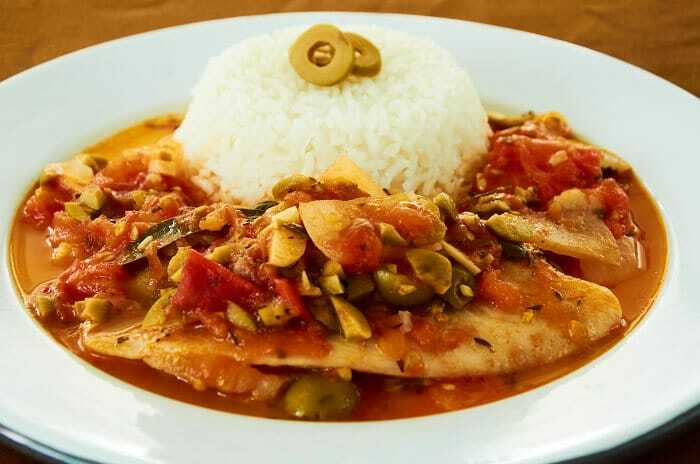 Delicious, beautiful, healthy and easy to prepare, this white fish “a la Veracruzana” covers all the bases. 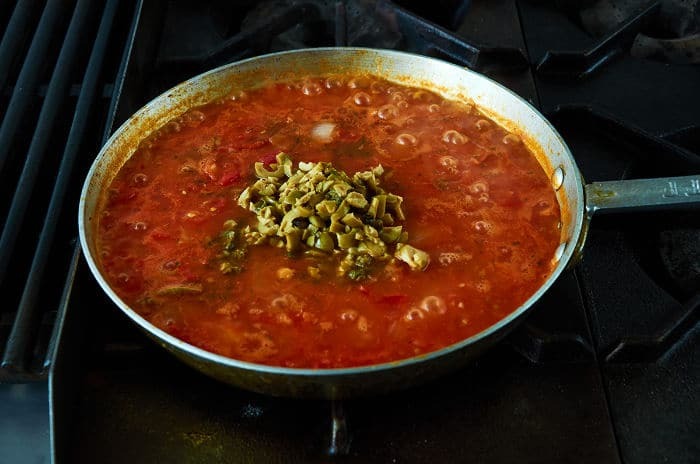 Any dish that is served ” a la Veracruzana,” which means Veracruz style, is served with a mild tomato sauce prepared with olives and capers. This is one of the few sauces served in Mexico that doesn’t have any chile in it. Start by gathering all of your ingredients. 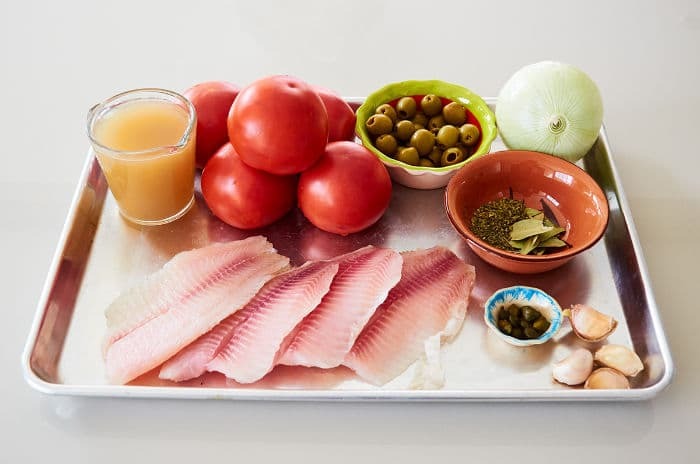 For this dish, you will need white fish fillets, tomato, onion, olives, capers, garlic, thyme, bay leaf and chicken broth. The full ingredient list is below in the recipe. The traditional fish for this dish is red snapper. 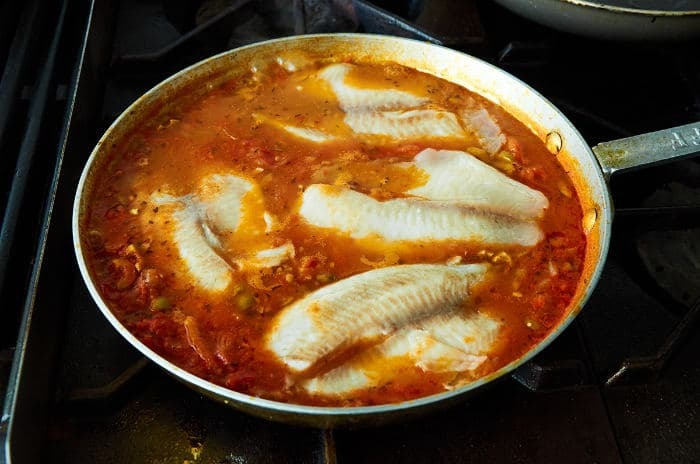 When prepared with red snapper the dish is called, “huachinango a la Veracruzana.” We used tilapia but any firm mild white fish works well. Over medium heat, fry the onion and garlic in 3 tablespoons of cooking oil for 4 minutes. You are starting to build flavor in the sauce. Add the tomato, black pepper and salt. 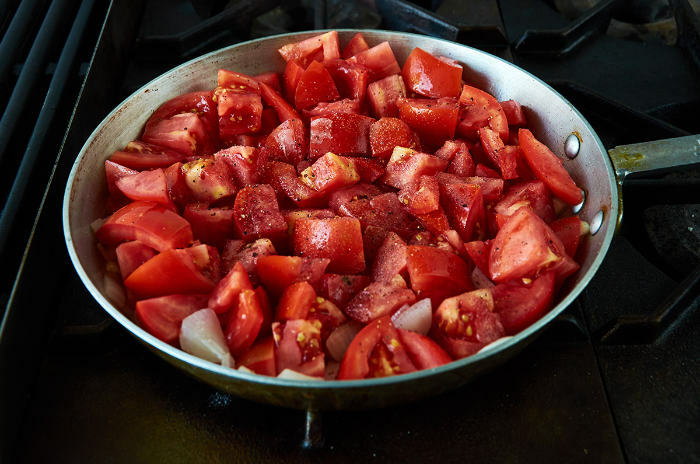 Reduce the heat to low and cook for 15 minutes until the tomatoes have given off much of their liquid. 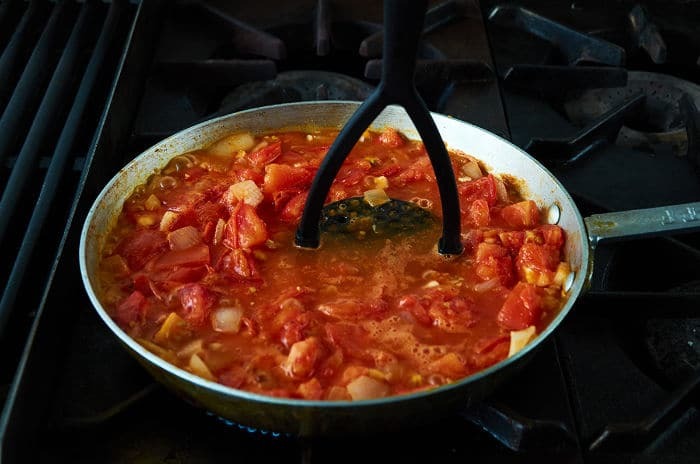 Crush the tomatoes, onion, and garlic with a bean or potato masher. Next, add the spices and stir. Add the chopped olives and capers and stir. Simmer for 15 more minutes. It’s starting to look good, isn’t it? After the sauce has simmered for 15 minutes, start cooking the fish. 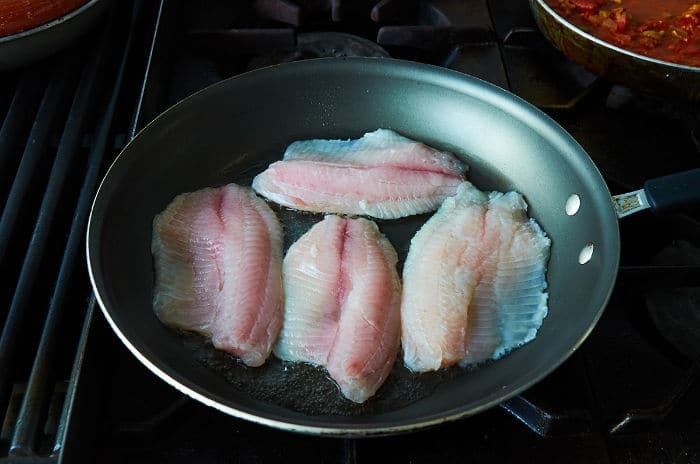 In a separate pan over medium heat, lightly brown each side of the fish in 3 tablespoons of oil. Don´t let the fish get too brown. 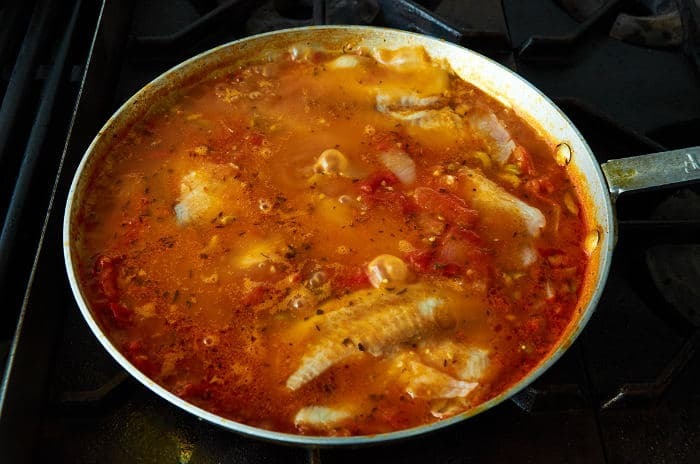 Once you have browned the fish on both sides, place each fish fillet in the simmering sauce. 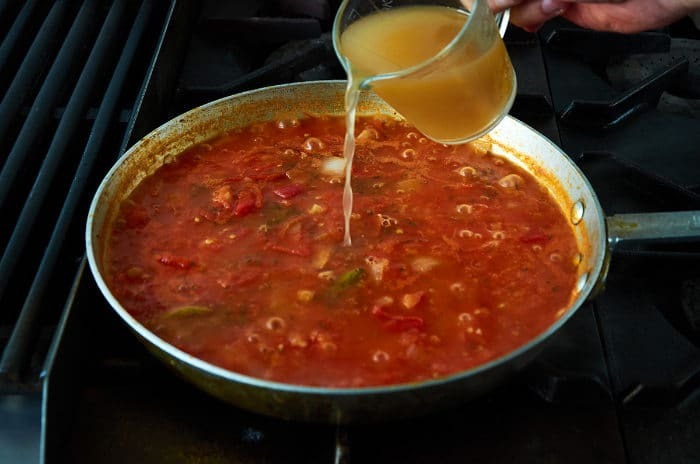 Cook for 10 minutes until the sauce has thickened slightly and the fish is fully cooked and has taken on the flavor of the sauce. Check the flavor of the sauce and adjust the salt if necessary. Now it’s looking really good! Serve the fish with white rice. First, put the rice on the plate then place the fish next to the rice. Gently spoon about 1 cup of the sauce over the fish and serve immediately. 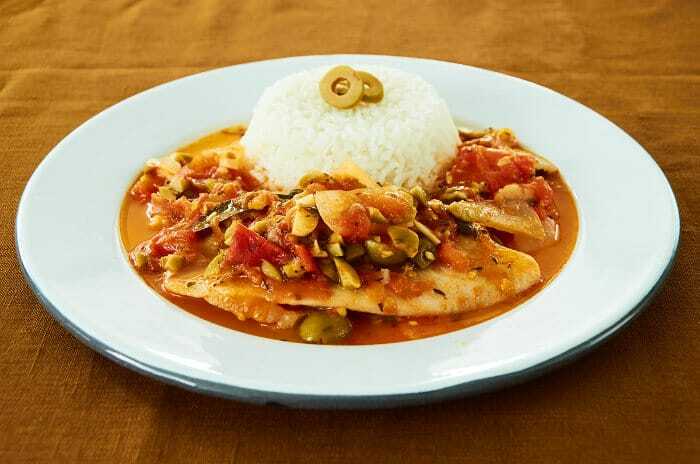 Veracruz style white fish prepared with a tomato tomato sauce with olives and capers. One of the few sauces served in Mexico that doesn't have any chile in it. 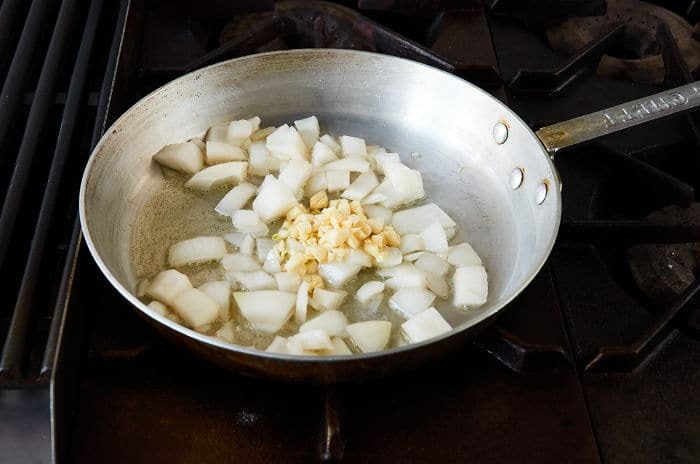 Over medium heat, fry the onion and garlic in 3 tablespoons of cooking oil for 4 minutes. 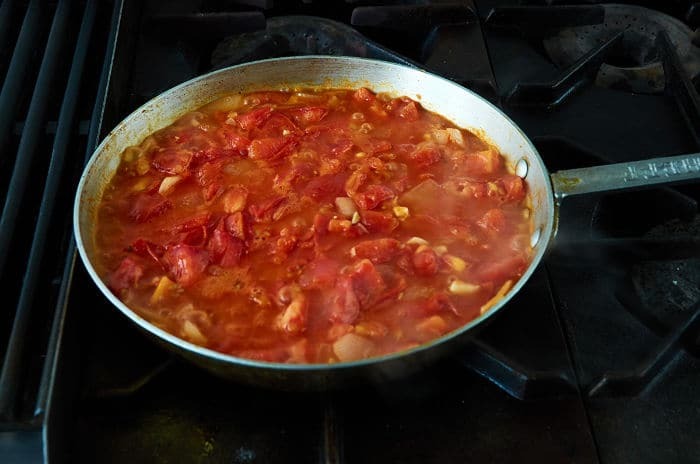 Reduce the heat to low and cook the sauce for 15 minutes until the tomatoes have given off much of their liquid. Then, crush the tomatoes, onion and garlic with a bean or potato masher. Add the chopped olives and capers and stir. Simmer for 15 more minutes. Cook for 10 minutes until the sauce has thickened slightly and the fish is fully cooked and has taken on the flavor of the sauce. Check the flavor of the sauce and adjust the salt if necessary. You might enjoy preparing one of our other recipes. 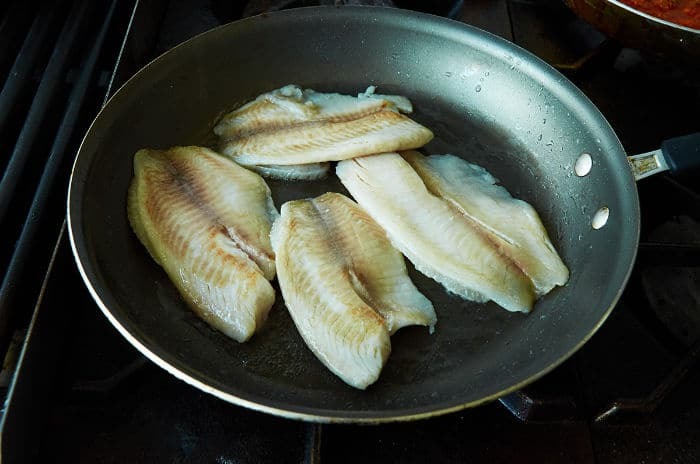 Did you enjoy this recipe for Veracruz Style White Fish? Any questions about the preparation? Please let us know in the comments below if you have prepared this dish and how it turned out for you. Also, if you have any questions on preparation you can let us know in the comments too. We think you will love this recipe! If this is half as good I think it will be we will make it this week. Question: where to buy good fish? Please drop a note when you have a minute. This recipe just looks and sounds amazing! Its like a Mexican version of chicken picata but with fish and tomatoes. This is most definitely a drool worthy recipe that must make it onto my weeknight cooking list and soon! By the way, the pictures and details are just amazing. 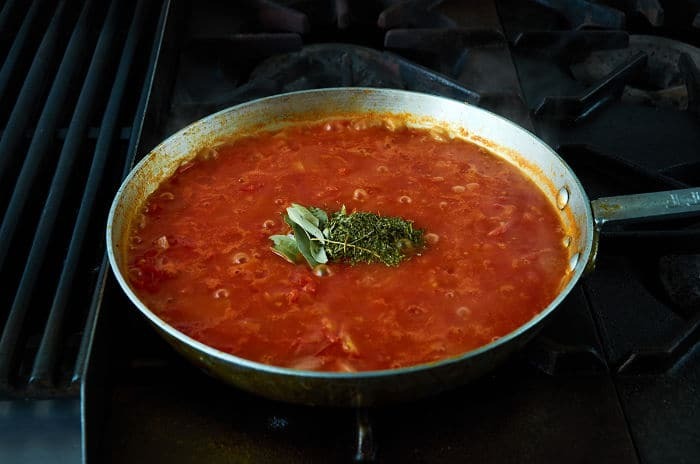 The best part of any new recipe is a picture worth a million bucks that can instantly instill some serious hunger! Can you use oregano in place of epazote? Oregano will work really well in the recipe. I would use 1/2 teaspoon. Cheers! Epazote: are you using fresh or dried? And how many servings approximately is this for? Thank you! We used to always do this with snapper, but that’s getting hard to find in my area. I switched to tilapia which is usually available, but this week I am trying rockfish. Wish me luck. It would be helpful to know how much onion to put in the dish.